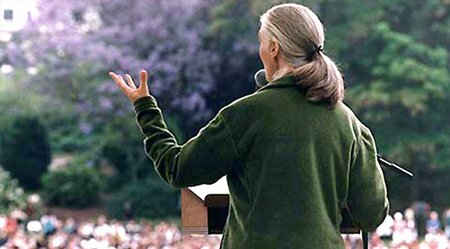 The Jane Goodall Institute Australia (JGIA) was founded in 2007 and is an Australian non-profit and registered environmental organisation. “inspire actions that connect people with animals and our shared environment”. 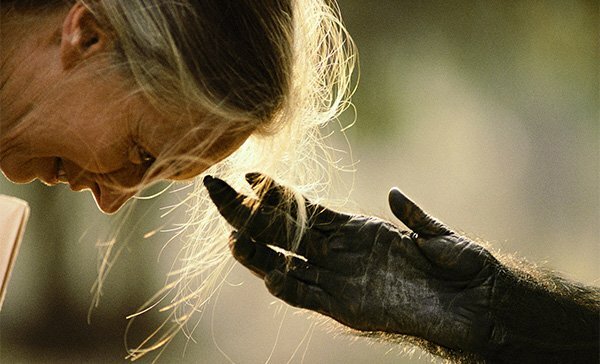 Our Philosophy is centered on the inter-connectedness of Animals, People and the Environment (APE) and our Purpose is to “inspire actions that connect people with animals and our shared environment. 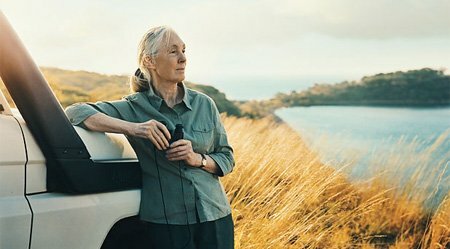 Dr Jane Goodall DBE, world-renowned primatologist, ethologist, humanitarian, conservationist and UN Messenger of Peace, founded the Jane Goodall Institute in 1977. We now have offices in 35 countries around the world. 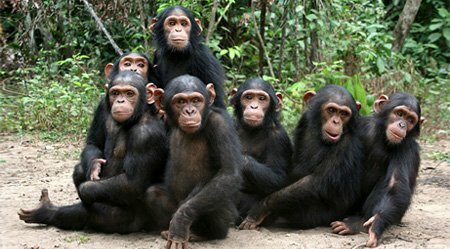 We work to promote the conservation of chimpanzees and other great apes (as our closest living relatives in the animal kingdom) and, through our Roots & Shoots (R&S) program, aim to empower the next generation to be socially and environmentally conscious citizens of our shared planet. At JGIA we have two main programs that we support and fund. Our Roots & Shoots Program empowers young Australians and equips them with the tools, motivation and support they need to address the problems that matter most to them. We create an ever expanding network of Australians, connected with their global counterparts, who are inspired to be change-making global citizens. Our Roots & Shoots members can apply for a mini grant to fund their projects. Our Africa Programs conserve and protect chimpanzees, natural habitat and surrounding communities in Africa. Our community centered conservation programs include a range of activities from basic needs such as education, health and water sanitation to park rangers who protect animals from poachers. We also support chimpanzee sanctuaries which provide a lifelong home for orphaned animals. 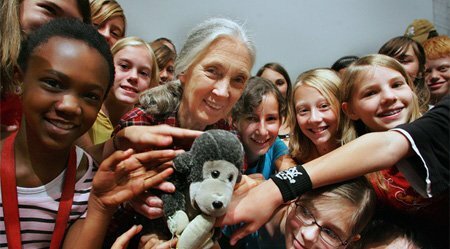 The Jane Goodall Institute Australia constantly strives to improve the world around us for both humans and animals. Everything we do is in support of our philosophy of connecting Animals, People and the Environment. James Forbes has more than 10 years experience working in senior management roles at WWF and the Nature Conservation Trust – both well established and successful wildlife and environmental not for profit organisations. He was most recently the Advancement Director at the Australian Indigenous Education Foundation. James has qualifications in marketing, communications and leadership. In 2016, James was a finalist in the CEO Magazine’s Executive of the Year award for the not for profit category. 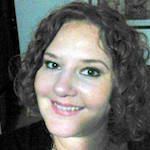 Srima McQuillan joined JGIA last year as COO. Prior to this, Srima started her career as a Civil and Environmental Engineer, working as a project engineer on water, wastewater and refuse facacility projects. She then acquired her MBA and transitioned into the housing industry, managing over 20 housing projects ranging from mid-rise towers to social housing developments. After migrating to Australia she spent 7 years at Lendlease in roles including strategy, innovation, transformation and people and culture. 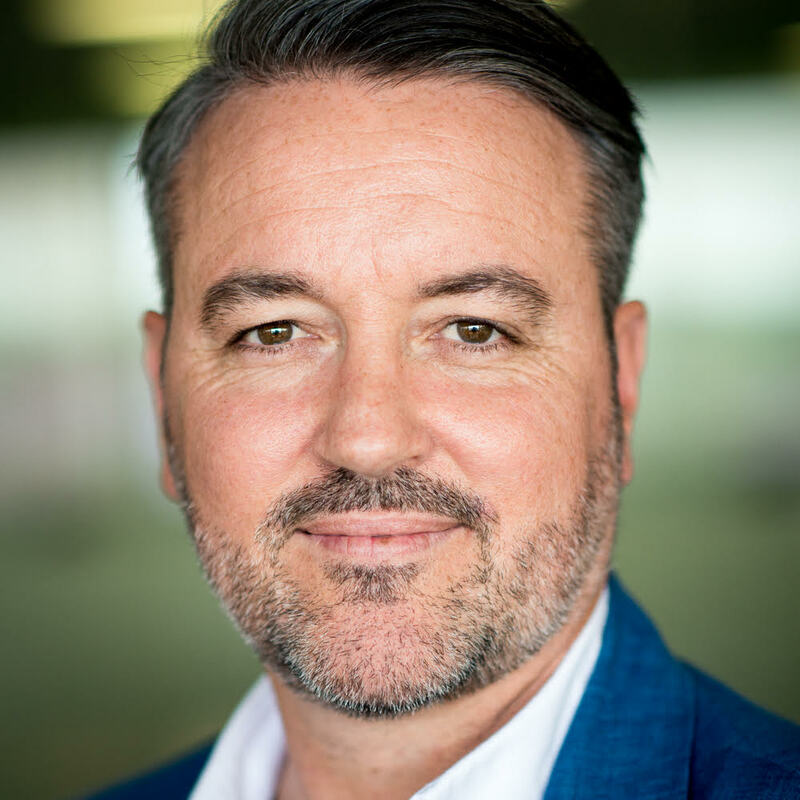 William has more than 20 years experience working across ASX companies, management consulting and in the private and public sectors. 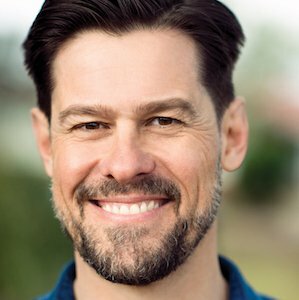 William has extensive experience in senior executive and operational positions across multi-site, multi-country operations encompassing the functions of finance, human resources, information technology, customer service, commercial operations, business development, shared services, building services, security, governance and administration. 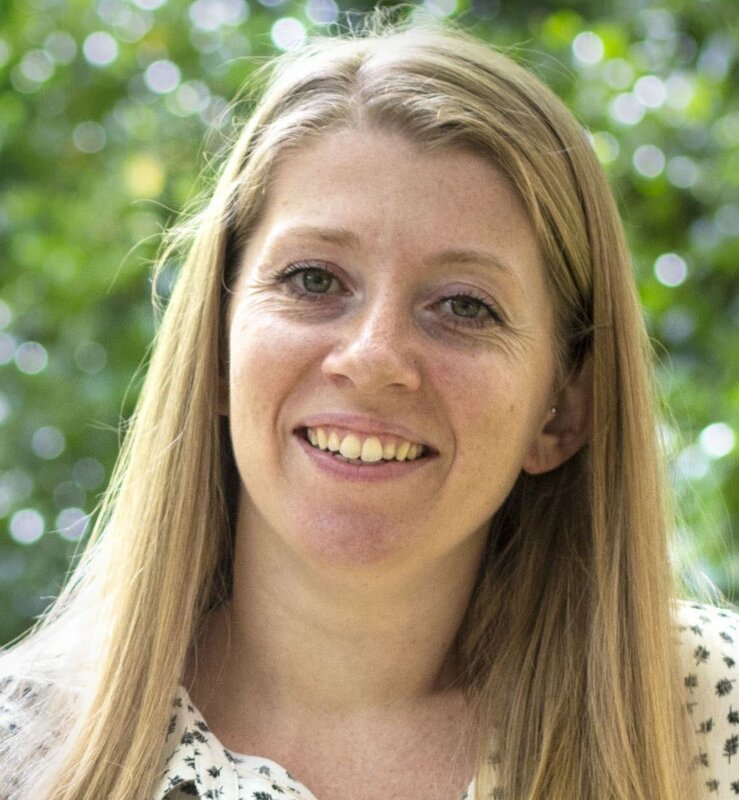 Nancy Moloney has 15 years of management experience with a focus on strategic sustainability consulting including corporate responsibility reporting and organisational strategy. 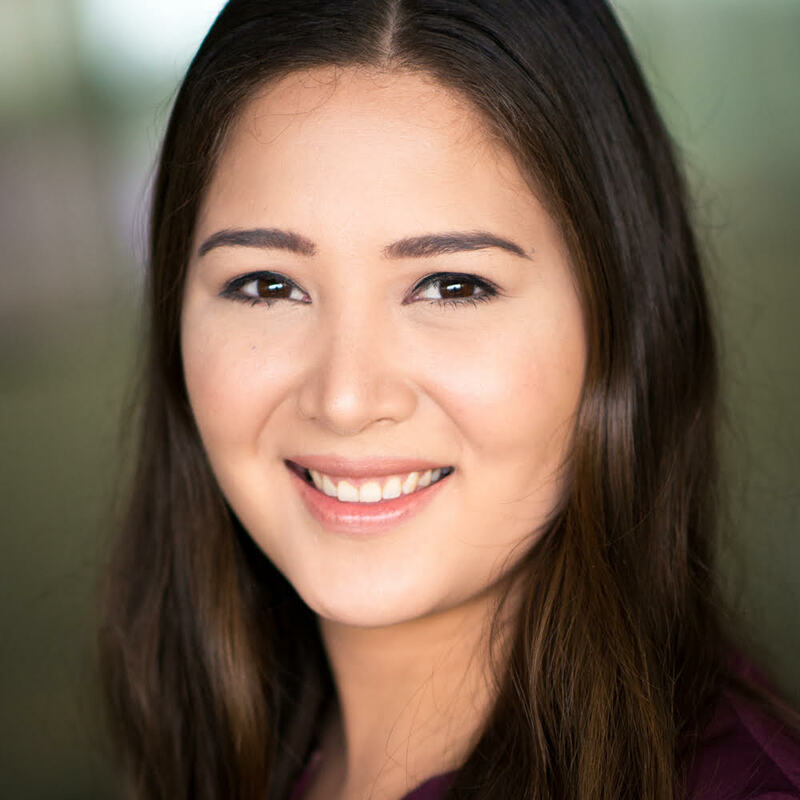 Prior to joining JGIA in 2015, Nancy worked at two “Big Four” professional services firms. She has served as a Non-Executive Director on several boards and is a graduate of the AICD Company Directors Course. Nancy also trained as a Climate Reality Leader under Al Gore. Her academic experience includes an MBA (Dean's Scholar), MSc (Ecology) and BSc (Forestry). Simon Duffy has 20 years’ experience working in the wildlife conservation industry. He has worked across multiple disciplines including wildlife care, education, science and conservation. Simon was the Director of Wildlife Conservation and Science at Taronga Conservation Society Australia for ten years before being appointed to Director Taronga Zoo in 2019. Simon is an active member of several conservation based committees and Boards and was appointed as a Member (AM) of the Order of Australia in recognition of his work in wildlife conservation, both in Australia and for primate species in Africa in January 2019. 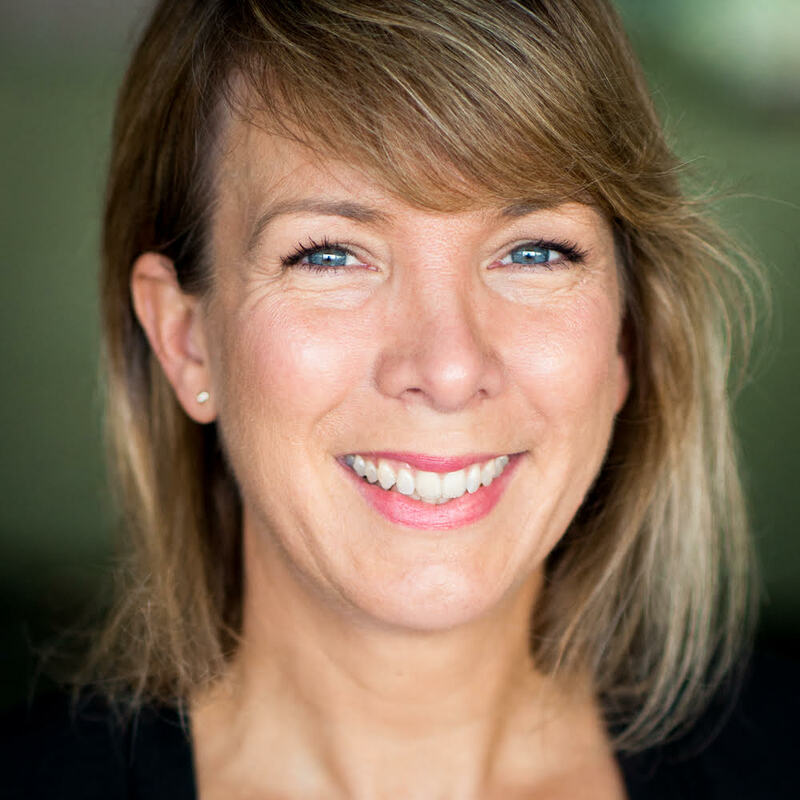 Michelle Shepherd is a PR & Communications professional with more than 25 years of media, business development and management experience across multiple sectors. 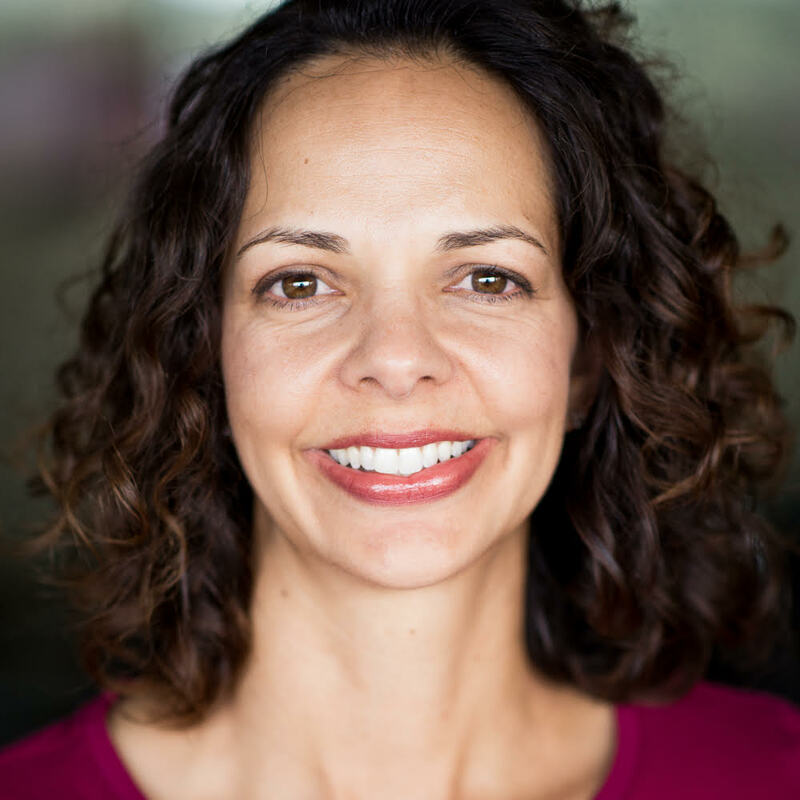 Michelle is a graduate of Deakin University, has a Foundation of Governance from The Australian Institute of Company Directors and is an Alumni of Leadership Victoria's Williamson programme. 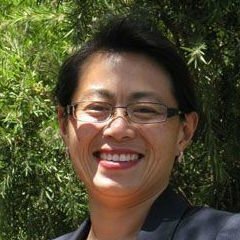 Anna Chung is a finance executive with over 20 years experience in senior financial management roles across a number of industries including medical research, healthcare, superannuation, funds management and banking. 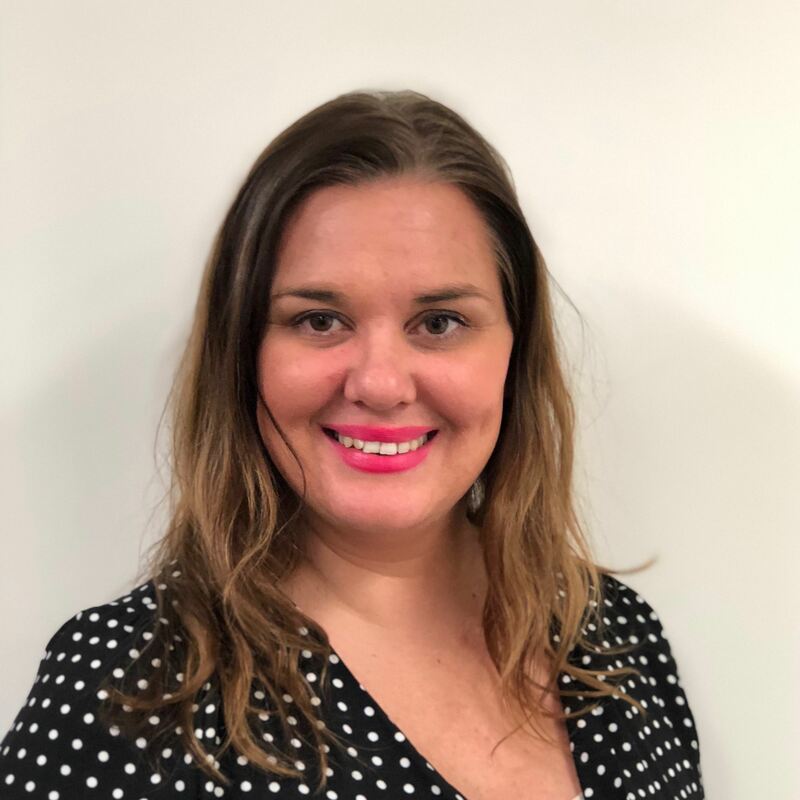 Anna has held a number of different roles across her career and specialises in strong financial management and planning, stakeholder management and finance transformation. Anna is currently the Chief Financial Officer of a medium sized insurance company. 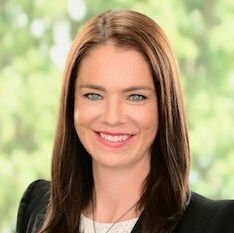 Anna is a graduate of the Australian Institute of Company Directors, as well as a senior member of both the Institute of Chartered Accountants (CAANZ) and the Financial Services Institute of Australasia (FINSIA). 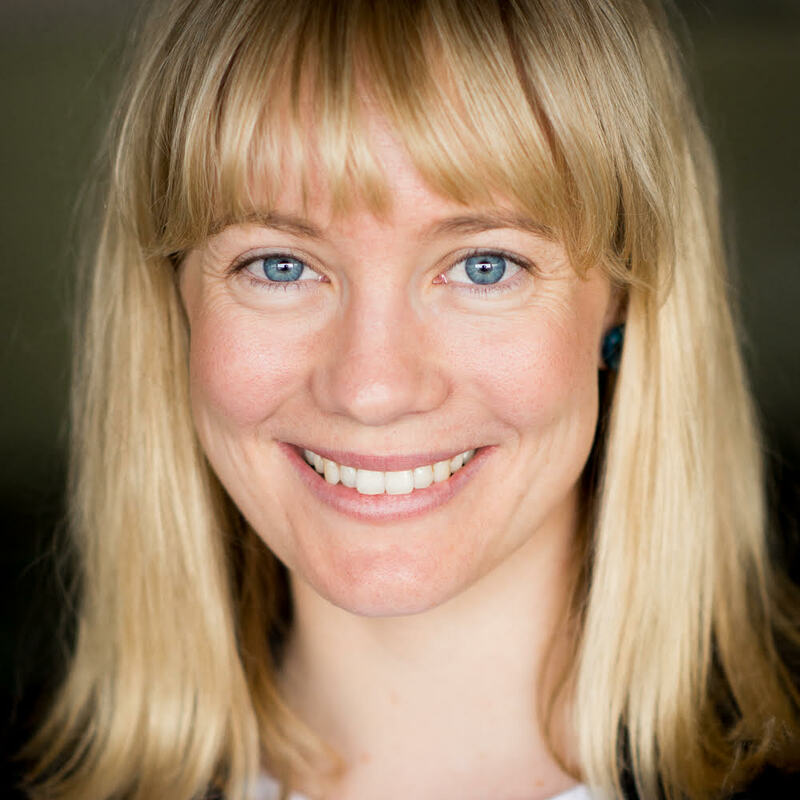 Amelia Swan is a Project Manager in the Office of Open Space and Parklands, working to increase Sydney's urban canopy cover to 40% by 2030. Amelia started her career in wildlife conservation genetics, and has toured Australia as a science presenter for Questacon—the National Science and Technology Centre. 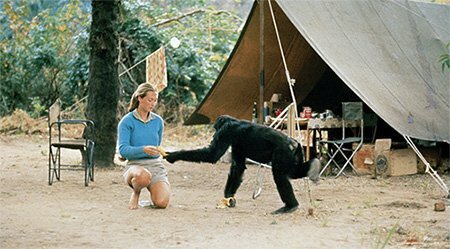 She has also worked in communications at the Centre for International Forestry Research in Indonesia and an orangutan rehabilitation centre in Malaysia. Amelia holds a Masters Degree in Public Policy, Graduate Diploma in Science Communication and Bachelor in Animal and Veterinary Bioscience. Zara Bending is a legal researcher and academic specialising in environmental, medical, and criminal law. Her doctorate examines the illegal wildlife trade under international law, focusing on the illicit trafficking of rhinoceros horn. A Senior Fellow of Advance HE, her dedication to higher education has seen her awarded faculty and Vice Chancellor’s teaching awards. In 2018, Zara was a semi-finalist in the NSW/ACT Young Achiever Awards (Women Creating Change). View our annual report for 2018. View our annual report for 2017. View our annual report for 2016. View our annual report for 2015.